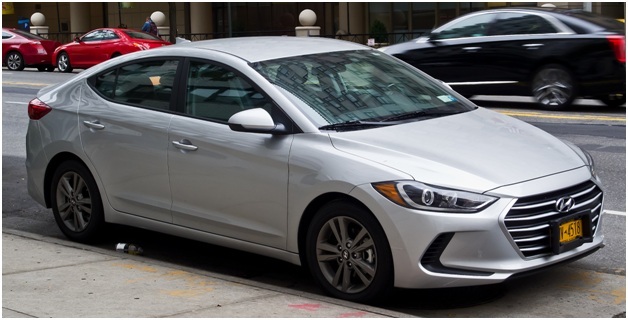 Hyundai Elantra is an elegant car which is almost close to the luxury sedans. However, the price tag is lower than the ones marketed by Mercedes and BMW to name a few. Hyundai Elantra is a complete package in the terms of the active safety features and the interiors offered. The car offers a broad range of technically sound features and active safety features. For 2018, the car gets an infotainment system which features support for both Android Auto and Apple CarPlay, which was not available in the previous versions. The other features such as the push-button start and leather-wrapped steering will also be present in the car. We shall read more about the 2018 Hyundai Elantra in this review. Hyundai Elantra uses a 2.0-liter base engine which isn’t the most exciting unit around. The car doesn’t have the best performance around which makes it the least favorite engine in the line. The seven-speed automatic transmission can prove to be inaccurate and inefficient at the high speeds. The acceleration given by the car is not top. It gives a leisurely acceleration but this enhances the handling capability. The steering and the brakes are well-tuned and comfortable to use. The engine cannot compete with the other cars of the same segment such as Mazda 3 and Honda Civic. The 2018 Hyundai Elantra accelerates from 0 to 60 mph in the span of 9.7 seconds which is much more than the average. Talking about the steering, the steering wheel feels direct and predictable. The wheel builds the efforts naturally thus giving accuracy and comfort. The steering system is well-tuned but lacks road feedback. The Sports mode’s steering is better than the normal one. It has increased steering effort and feels better in the hands. The controls in the cabin of the car are intuitive and easy to use. The controls are not really fancy or sleek but the performance is flawless. Talking about the entry and the exit of the car, the taller people might find the doors short and the headroom an inch or two lesser than the comfort level. The car has a standard layout of the controls. The buttons are marked clearly and thus, are easy to figure out and use. The seats are driver-friendly. They can be adjusted based on the height of the driver. The tall drivers can lower it to get more headroom and the short drivers can increase the height of the seat. The front legroom is enough but the rear passengers might have a complaint. The car also offers a comfortable ride with the help of the cushion seats that adjust according to the passengers. The interiors also offer intuitive controls and simple to use the infotainment system. The cabin is quiet and cuts the outside noise for a comfortable ride. An important point to notice here is the warranty. It offers the best warranties amongst the cars in this segment. The car is a good deal at the price tag it is offered at. Leaving the flaws behind, there are a lot of pros to be noticed. Hyundai Elantra has undergone a lot of changes before the 2018 launch. The major changes are seen in the line-up of the trims of the car. The car will now be available as the SEL trim which means the customers will get all the premium safety features, interiors and the performance upgrades which were not available before the 2018 model.